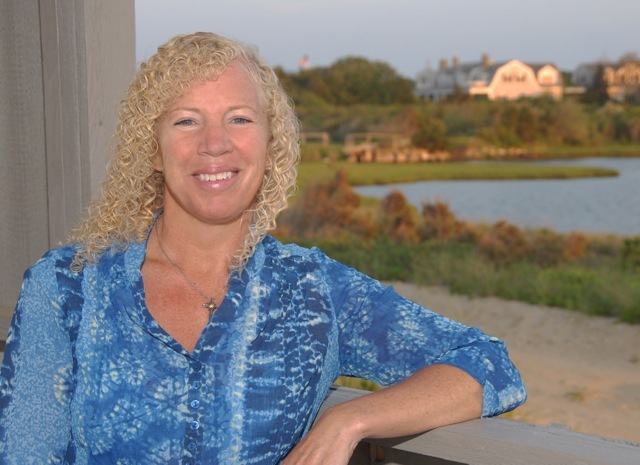 I’m honored to feature author Lisa Belcastro on my blog today. She is an amazing woman with a schedule that would leave most of us breathless! I recently had a conversation with Lisa where we discussed her life, her passions, and of course, her books. ‘Shenandoah Nights’ is an intriguing time travel adventure and I was excited to learn more about the author, the story and the ship. Ms. Belcastro grew up just outside of Boston. Her family spent most of their vacations on Martha’s Vineyard and she adored the island. As an adult, she lived in Florida for twenty years before returning to New England and settling on Martha’s Vineyard. Somehow in between being a mom and a busy writer, she has also managed to feed her passion for running by finishing a marathon in every single state last year. The Shenandoah is a real ship that the Douglas family owns. Captain Douglas takes students from elementary schools out for a week at a time, giving them a true sailing adventure. There is no electricity and no modern conveniences whatsoever. The ship is built as if it sailed right out of the past, an honest to goodness floating history lesson. It doesn’t even have a motor, but runs purely by its sails. Lisa was a parent coordinator and chaperone for her own daughter’s trip on the Shenandoah and she thought it was “so cool”. Being that the time period of the Revolutionary war is her favorite in history, her mind immediately went there. How could it not? She feverishly jotted notes while aboard and when she returned home, those notes evolved into the book. Much of the present day activity that takes place on the page, such as the student’s routines and chores, is based on her week at sea. After she’d written a large portion of the book, she chaperoned another trip and took her manuscript with her. She wanted to put herself in the environment while reading the story and it worked. She says it felt very natural and it was an interesting experience to be reading the story aboard the ship. “The element of time travel made it so much more interesting.” Ms. Belcastro has always been fascinated with time travel and devoured the ‘Chronicles of Narnia’ by C.S. Lewis. She loved the idea that a teacher could slip across time unaware and then have the turmoil of not knowing. Time itself becomes the antagonist of the story, with Rebecca never knowing when or if she would be coming back to either place. She wanted “21st century women to find themselves in completely uncharted territory.” All three women in the ‘Winds of Change’ series will have to decide what it was they really want. Lisa says she takes no credit for that stroke of genius. She needed it to be just one thing that moved only when Rebecca was alone and no one would see. Time also needed to “stand still” on the other side while she was gone. If it happened while she was sleeping, it would make more sense and not be as much of a stretch. The Christmas novella, ‘A Shenandoah Christmas’, released Monday. It is a continuation of Andrew’s love story. There will be two more Christmas stories with these families, one of which will be set in 1777. Because of this, research is taking up much of her time. It’s an involved process getting the nuances of a particular time period just right, and Lisa is a stickler for detail. She adores the characters in the ‘Winds of Change’ series and tells us not to rule out further novels. Perhaps one story set completely in the past? We will have to wait and find out! There is also another trilogy that will start releasing soon. It will be set on Martha’s Vineyard too, so you could see some familiar characters weaving in and out of her future books. Lisa says she prays over each book and that they all have a Scripture that is the focus. This is the message she wants people to take away from each story. She has many personal favorite verses, as she tries to go through the entire Bible every year. (See, I said she was a busy girl!) She does have two that make the top of the list. Psalm 119:32 and Jeremiah 29:11-13 For I know the thoughts that I think toward you, says the Lord, thoughts of peace and not of evil, to give you a future and a hope. Then you will call upon me and go and pray to me and I will listen to you. And you will seek me and find me, when you search for me with all your heart. Her favorite quote is from Chuck Swindoll. It hangs on the wall of her home. It’s on her computer screen and on a card in her purse. “Attitude is everything”. She says this helps her remember that how we approach life and handle circumstances define how we lead our lives. Now here’s the part everyone always loves, the free stuff!!! Lisa will be giving a prize to two lucky readers! One will win a signed paperback copy of ‘Shenandoah Nights’, and another will win an e-book version! Leave a comment below and be sure to specify if you would prefer paperback or e-book. Our two winners will be chosen on Monday, December 29th. Good luck and be sure and share the blog with your friends! If you want to know more about Lisa Belcastro and her books, or check out all the cool stuff on her page, click on the link for her website below. You can also find her on Facebook. And don’t forget to check out ‘A Shenandoah Christmas’! Diana Austin for the hard copy. Ladies, email me at AmyMMcNew@att.net with your info and we will get your prizes to you! Thank you! I had a blast! Pardon my typos, I’m trying to work on my phone tonight! Thank you all for your comments! I’m so happy you’ve stopped by. I hope you all enjoyed the interview. It was my pleasure to host you on my blog, Lisa and share our conversation. It was so much fun! Time travel has always fascinated me as well. There are many occasions where I’ve wished I could go back ti a simpler time. Robin, I think you’ll be pleasantly surprised at the “device”! Lisa did a great job with making it believable. Thank you all again! Check back Friday evening to see who won! well, I do love history [historical fiction my fav genre] and I am fascinated by time travel as well – now I must read to discover the mystery “device!” great interview with a great author!! and I’d prefer hard copy please! Time travel is fascinating, isn’t it? Something to dream about . . . and wonder. There are places, and days in history, I would love to be able to glimpse in person. 🙂 I hope you enjoy my little adventures as much as I did writing them. I already reviewed the book but would love signed copy for my library! Thanks for being an awesome fan! Thanks for stopping by. I hope you enjoy the Winds of Change series. I love the characters, and am excited to be working on a novella to compliment the first three books.